Apps aren’t just for startups these days, even NFL players are getting into the act. Newly minted Pro Bowl starter LeSean McCoy has launched his own app and took some time to talk to us about how social media has changed the way fans interact with their favorite stars. 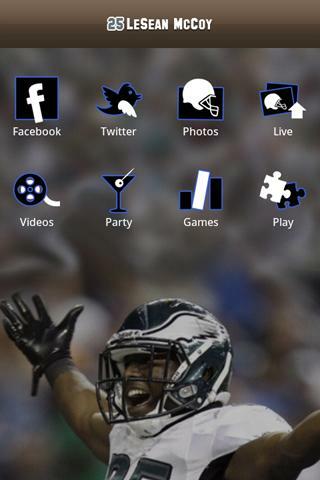 McCoy’s app just hit the Android Market and lets fans read his tweets, Facebook updates, watch videos of his top plays, play puzzle games using his pictures, and more. The Philadelphia Eagles star has quite a following on Twitter, so a hundred thousand fans grabbing this app isn’t a crazy goal. The iOS version should also go live soon, we’re told. TNW: How has social media changed being an NFL player? LeSean McCoy: Social media has changed the landscape of marketing and engagement with fans for not only NFL players, but for anyone in the public eye. It gives us a chance to speak to our fans and supporters, on a level that wasn’t possible just a few years ago. With Twitter, Facebook, blogs and forums, NFL players have been given the opportunity to really interact with our fans, regardless of time, location, or any other barrier that existed previously. Social media has also given us the opportunity to build our own brands outside of the game and extend our conversations to different outlets and mediums, engaging our fans even further. TNW: Does it ever freak you out how much your fans want to know about you? 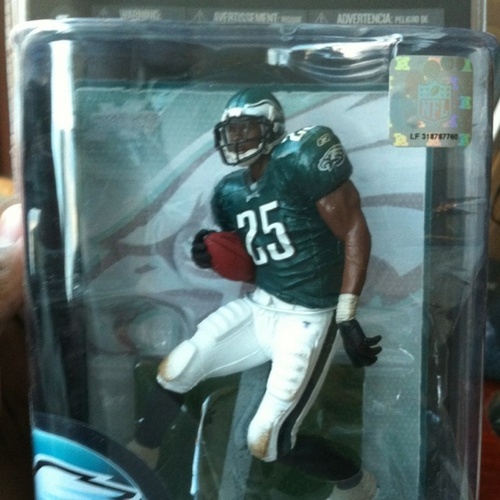 LeSean McCoy: Honestly, no. I had heroes and people who I looked up to as well that inspired me to become an NFL player and I completely understand and feel blessed that people want to know so much about me. It’s an amazing feeling and I try to give my fans the best that I can. This was the reason why making a mobile app with Conduit made so much sense. In one app, my fans are able to access my Twitter feed, Facebook updates, photo albums and they can even add their own photos that they take live from any of my games. It’s great to be able to harness technology to open up a new channel for my fans to get to know the real me. TNW: Do you have any stories about social media that made you want to do something like have an app? LeSean McCoy: There have been significant changes in technology in the past few years that changed the way people interact. I mean, we still receive fan letters, but the conversations that are happening online in real-time is something that not only NFL players, but anyone in the public eye should be made aware. I want to have a say in what kind of image I’m putting out there for my fans and building an app lets me speak directly to that audience. It gives me the ability to have conversations with my fans individually and collectively. That means a lot to me, so naturally, creating an app was going to happen sooner or later. I’d like to thank the guys at Conduit for giving me the ability to do this. TNW: Have you played the games on your own app? LeSean McCoy: Yes, I’ve played the game on my own app and i think the fans will enjoy the overall challenge of the puzzle. TNW: Are you an Android or iPhone guy? LeSean McCoy: I’m a big iPhone guy since it keeps me connected to everything that’s going on. For that reason, I’m super excited for my iOS app to go live. LeSean McCoy: I enjoy all Apple products so definitely a Mac, but because of my lifestyle, I think I’m going to have to go with an iPad due to its portability. While we’ve heard a lot about businesses building their brands on Twitter, Facebook, and Google+, pro athletes like LeSean McCoy are doing the same. It used to be that the only interaction fans could have with a player were chance encounters at training facilities or games, or purchasing their jersey. Now fans can have a dialogue with their heroes, and it seems to be a win-win for everyone so far, including LeSean McCoy.